In 2003, she founded her non-profit group, B.L.I.N.D. (Beautiful Love Incorporated Non-Profit Development), which is geared toward creating social change through economic, artistic, and cultural development. Among B.L.I.N.D.’s many accomplishments, the organization has provided arts, crafts, and dance classes to children displaced by Hurricane Katrina. 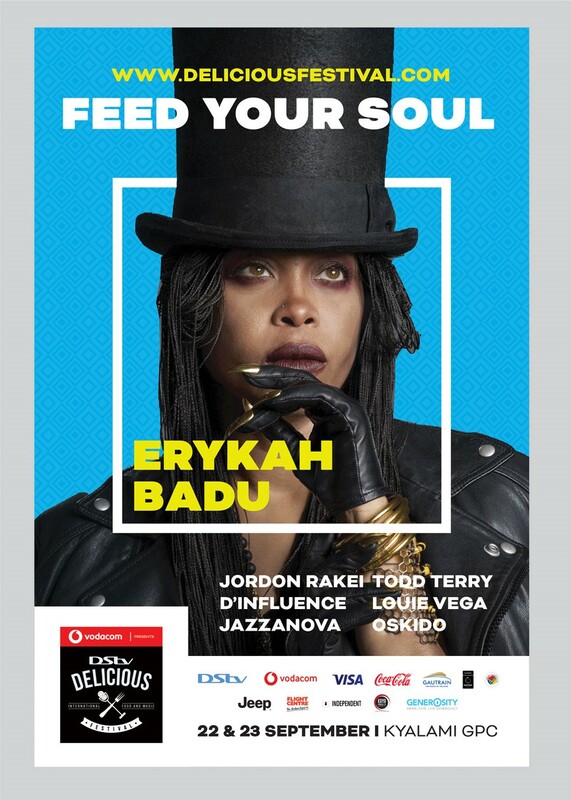 Also in 2004, Badu’s charitable efforts helped raise hundreds of thousands of dollars to support the scholarship fund at St. Phillips School and Community Center in Dallas, Texas. Badu continues to use her platform as an alter. By incorporating instruments such as tuning forks, crystal singing bowls, and gem stones and more into her music, she has created a wave of healing energy throughout the planet. But her true instrument is the 'intent' with which she sings. She has become a spiritual midwife, aiding in the rebirth of moral and spiritual consciousness for her generation. Badu’s artistic and spiritual contributions to humanity earned her an honorary Doctorate degree in Humanities from Paul Quinn College in 2000. Erykah Badu’s three children, son Seven Sirius (b. 1997) and daughters Puma (b. 2004) and Mars Merkaba (b. 2009), were all born at home with a practicing midwife. She is an advocate of natural childbirth, healthy birth outcomes and breastfeeding for robust infant development. Recently, she was the keynote speaker at the International Center for Traditional Childbearing (ICTC) 7th International Black Midwives and Healers Conference in October 2010. Erykah currently studies and apprentices to masters Queen Afua, holistic health guru and spiritual teacher. Dr. Jewel Pookrum , neurosurgeon, physicist and midwife and Dr. Laila Africa, scientist, health practitioner and theorist. In 2006 Erykah was certified as a Holistic Health practitioner thru Dr. Laila Africa and she is also a 3rd Degree Reiki Master-Teacher. Badu hasn’t stopped yet; she continues to study sound and vibration healing and presently assists and apprentices as a direct entry midwife. Erykah has served as doula for five natural births and only has 31 left to becoming a full fledge midwife. Erykah currently makes her home in Dallas, Texas. Self described as a “mother first”, Badu is a touring artist, DJ, teacher, community activist, 25 yrs vegetarian, recycler, and conscious spirit.